Looking for a clean, well-cared for 1997 Ford F-150? This is it. This 4WD-equipped vehicle handles any condition on- or off-road with the sure footedness of a mountain goat. 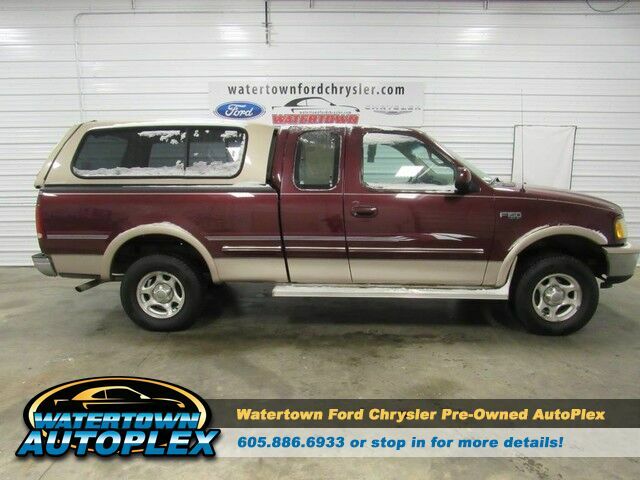 With unequaled traction and stability, you'll drive with confidence in any weather with this Dark Toreador Red (cc/met) 1997 4WD Ford F-150 XLT. It's not a misprint. And the odometer isn't broken. This is a very low mileage Ford F-150. A rare find these days. You've found the one you've been looking for. Your dream car. Based on the superb condition of this vehicle, along with the options and color, this Ford F-150 XLT is sure to sell fast.